Most readers still love the feel of a good paperback in their hands but no one can argue against the convenience of eBooks. Clonefiles gives book buyers the best of both worlds. With the Angry Robot Clonefiles programme, a growing number of indie book shops in the UK and the US are able to offer their customers both the paperback and eBook version of any of our books for just the price of the paperback. Readers! If you’re interested in taking advantage of this deal, speak to the friendly booksellers in any one of these excellent indie book shops and they’ll do the rest. Why? So you can buy the ebooks for yourself and give the paperbacks to your friends and loved ones as presents. Or: so you can read the eBooks on holiday and keep the paperbacks safe and pristine on your shelf at home. 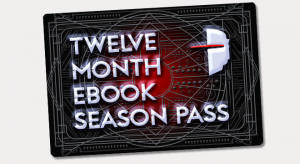 With BitLit as a fulfillment partner, Angry Robot has teamed up with leading independent bookstores McLean and Eakin Books and Prairie Lights Books to offer free ebook editions with all physical copies of Angry Robot Books sold at these two stores. US Booksellers! 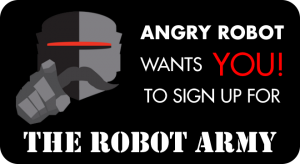 Angry Robot is looking to expand the program to other independent bookstores across the USA and Canada. Interested bookstores should contact Mike Underwood at mike.underwood@angryrobotbooks.com for more information. UK Booksellers! If you’d like to participate in the Clonefiles programme and we haven’t spoken to you yet please contact your friendly neighbourhood Faber Factory Plus rep, and they’ve give you the low-down. These brilliant book shops are participating in the Angry Robot Clonefiles programme. Ask for details at the checkout desk when you buy any Angry Robot paperback from the shop, or contact them to arrange a mail order delivery. These fine establishments have expressed an interest in the Clonefiles programme and we hope to sign them up before too long. Please do check them out if you’re in the area.